Get Quikr NXT! Chat your way to a sale! SO Quikr is getting quick at innovation. Ask me why, simple the reason why people are getting on with Whatsapp, well you got ! Its the way people are getting to chat, like fish to water. I have been a user already and some of the best part of the listing have already been detailed in my old blog post. And when they announced the Chat as a feature I am sure the company has its customers beat with it. Now to the Chat Messenger NXT across the app and the desktop, thats a big leap for a classifieds site to do that a chat as a part of their service at no cost. So here the screenshot show the NXT at the right hand corner and you are ready to chat away sell or buy things as you chat. So why is it that great?? you ask me. Let me explain. Take a look at the screen shot below! There are many reason but lets take the three which impressed me the most. 1. Real Time : I want to sell it now! Well get on with that on chat. You know you got a customer on line. That’s the easy way it works. You know the party is online and then talk with them once you have initiated the chat. No need to call and then disturb both ways. 2. Instantly Share Images: Well we all know a picture is worth a thousand words – truly put send them as many angles you want them to see the product and convince themselves before they buy it out. I think this is one of the killer ideas to have in the chat. Any doubt will be laid to rest and they can finalize the deal faster. And yeah it is done with a click as easy it can get. 3. Make your contact details private: Privacy Privacy and privacy! Oh forget that, unless you are a dealer, getting our number online is pretty tough. Open to tele-marketing calls and what not, and you might get calls long after the product is sold and many more instances where you just think why did I have to give my number to everyone even if they wont buy the product at the end of half an hour call! Now that’s not gonna happen again. You decide to take a call only when you want to finalise for sure. Your number remains yours isn’t that a great way to sell or shop? Apart from that you can archive the chats and also block unwanted chats too. Now who said you need to shout all the way to sell your products online. Chat your way to selling or buying something you want to sell / buy. Welcome to Quikr NXT chat. Some ten years or so back, blogging was a technical kind of thing when it got introduced, rather it was the techies who lapped it up first. But slowly when the people got to know it was easy to blog rather keep an online diary, it spread like wild fire and it was like everyone wanted to blog. So some ten years before, I was like why should I blog. 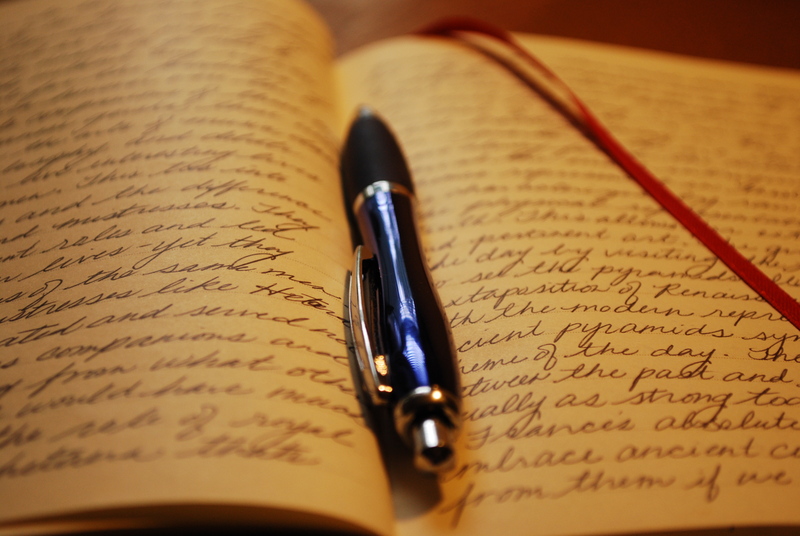 But the call of writing your online diary was immense. Oh forget the online stuff, how many of us were used to writing diaries. Earlier it was a big thing for us to receive a complimentary diary and flaunt it in school. The best diary had plastic overs and some had day pages and rest used to be 2 days a page. The design of the diary was the premium we had and it had information on everything especially the STD code and the ISD code as if we were going to use them. Those days you had to book a trunk call to call your distant relatives – who were really at a distance! So what did we scribble in our diary, some facets that we do on Facebook a bit of it may be, since we were looking at noting what happened. One of my entry was birthdays, then exams and results, then meeting dignitaries or listening to them on special school days. Possibly this was very personal unlike Facebook or this blog / post which everyone gets to see. There would be serious repercussions if you ever happen to open the diary unlike the blog which I am posting and asking everybody to like / comment / share. The siblings took care not to open the diaries or even if they did it would be a secret. The diary will also have the resolutions sometimes, which I wrote about in the first post. Some interesting tid bits would be the class crush in a code name, the fav actor / actress they love, and they had nothing to compare and make themselves heard. We were all normal human beings unlike Anne Frank whose diary is probably the most read one since World War II. That was a revelation. So sometimes I also thought the diaries would have to be like this. The other diary we hated was the school diary with teachers’ notes, homework, more home work and more home work and also had good, bad and satisfactory written all over. I did have notes written when you know the time of just jotting down had been crossed. It was also a handwriting exercise if you ask me, you got to write between two small lines. This used to be fun too. Hmm was just thinking how the diary writing has evolved into blogging, then has gone to become a marketing tool and bloggers are celebrated! I can feel happy that across these milestones I have been able to be a part of top 50 bloggers in the country. Perhaps the dairy writing which i did still helps. So tell me how many of you have any diaries or still writing ? The reason why I quit Facebook! Ok Now that I have your attention, Let me put it this way, I don’t think I will quit Facebook for may be another 5 years. There are different ways of looking at why you got to be on Facebook. On the face of it, its connects people known / unknown. I am actually wary of those unknown friend requests that keep cropping up. My only criteria in accepting a friendship request is the number of mutual friends, possibly thats the yardstick that you need to have the way to be friendly. Don’t have to accept every fb request. Thats a little gyan for everyone especially the ladies. I still wonder why you would accept a Fb request from a stranger. 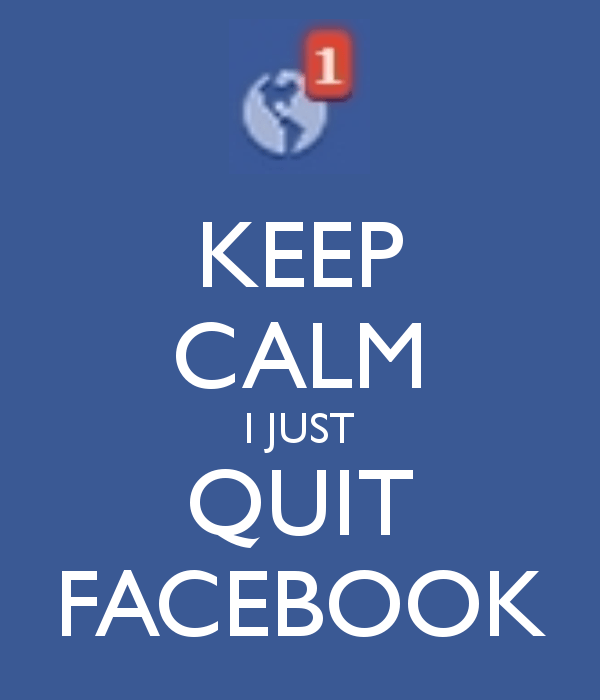 Now to why I wont be quitting FB! FB perhaps has had the best of times when it reconnects people after a long time. Try doing it, you can actually search for your school friends and college friends, who are far and wide in literal sense and reconnect with them. I am sure this would not have been possible without this approach. On the other side of marketing any medium which comes to you free has to survive on advertising and that will be they way forward for any of the new ventures too. How would you expect Facebook to be free, be connected to everyone, be narcissist and post selfies on selfies and complain when they advertise on Facebook. Imagine someone asking money for every post that you make, haha half the population wont even go neat especially in Indian context. And for other who take privacy as a concern, please note that there are enough safeguards in the net if you are looking at it. On the other hand every time you fill a registration form and click I accept, please read it fully and then accept it before complaining. The fact today is I have read all the terms and conditions is the biggest joke that we make on ourselves. The next time you don’t want someone to see your pic please select the privacy options and then do the post. Its like this, a sharpened knife by itself is not a dangerous tool. It is actually the user it could be surgeon who would help you or it could be the dangerous one. So next time you are Facebook think about how its changed your life for the better, and yeah sometime later I shall say how best to use it and make it worthwhile being on Facebook and may be earn a living too! A young and upwardly mobile population with growing income levels and increasing online penetration makes India a very lucrative online market. In line with this trend online advertising has seen a very healthy growth pattern in the last few years. Just in the last passed quarter more than 96 billion ad impressions were delivered across India’s websites. There was a beautiful gift pack from Blogadda! They know enough ways to actually surprise you! Opening the box, it was so beautifully packed and a cute tin pack emerged. I loved the package, it meant some thing cool, that I would soon find out. Not just cool, extraordinarily cool! 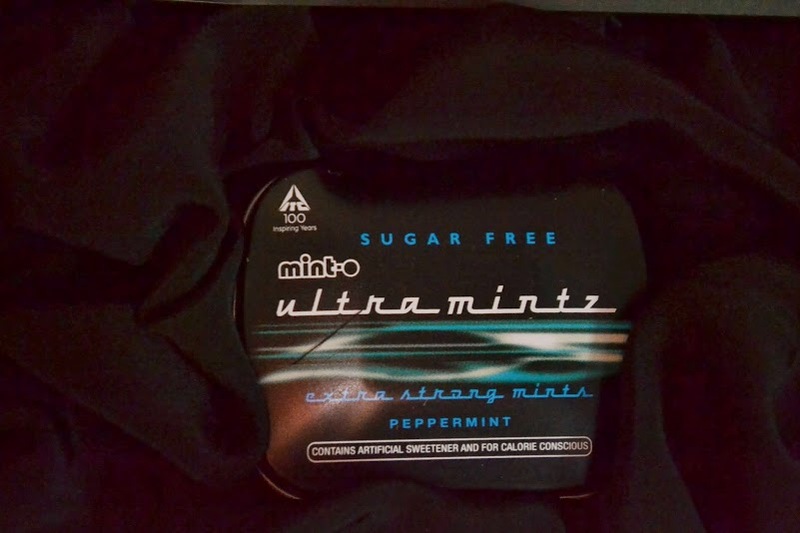 This latest offering from ITC is bound to make you lose to Ultra Mintz and I am sure you will look to actually show off the piece de art in your hand that cute box which has the mints – clearly stated premium and powerful sugar free mints. 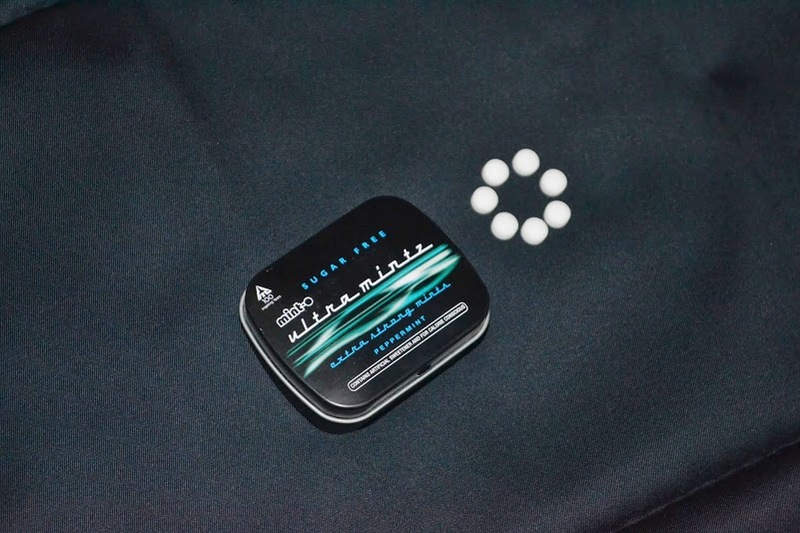 It was mouth watering to see the mints drop out of the cute little container and popping it was the first sensation you would be taken to such a grand level of mild and soothing mint. It was powerfully mixed and then it makes all the difference. Just goes all the way starting those sensations of soothing your throat and also sure to tickle your sense of smell. You get a free and nice breath of life, literally. The taste lingers on while the mint slowly melts into your mouth and you dont want to lose it fast. Leaves you with a clean and refreshing feeling after every popping of a mint. ITC should be commended for packing a punch of such magnitude that you would want more. It was extra strong and tastes as much as being sugar free you can go popping as you wish. The best part is this, you get to show off this nice little tin package and take it out in a style and then pop it in. 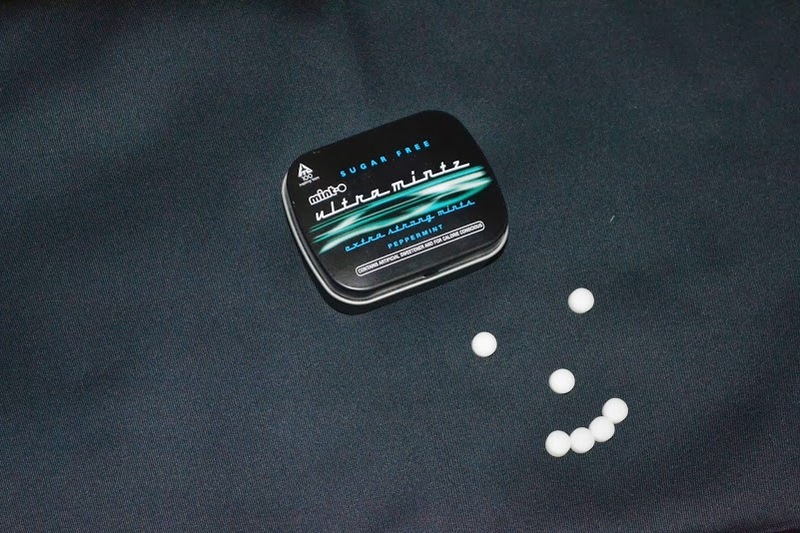 And when you know the ingredients that went into the making of these little powerful mints, you will be really be impressed; well the finest quality of menthol and the best peppermint are from France. 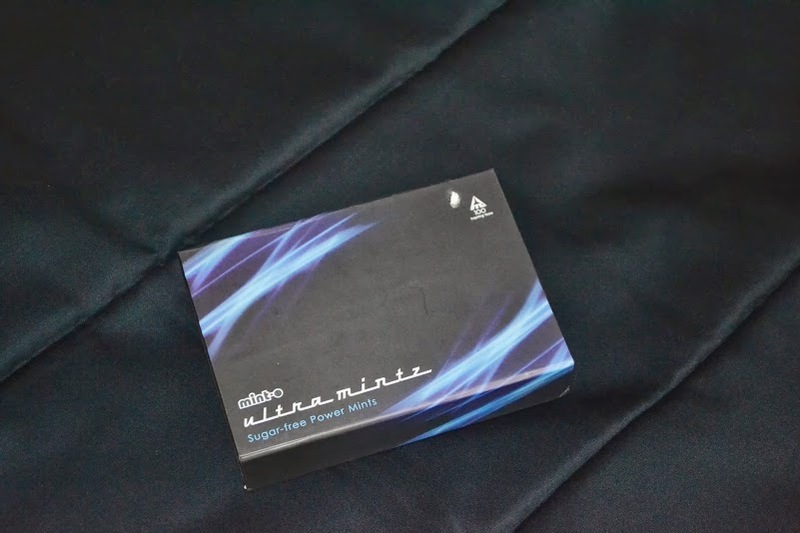 The pack has 60 mints and is priced competitively at INR. 50 and I am sure this pricing will be an easy one for the kind of product which is on offer. The overall feel is that the pack will attract the young and the old alike especially those who will like the premiumness of the product and there is also a style quotient attached to it a kind of branding if you want to call it that. So here’s my verdict on this product, very premium packaging black always has that tag attached to it, not to forget the product here is the winner and it’s awesome to say the least! ITC has a winner in the Ultra Mintz and going by the social media reactions I am sure this will rock the market that its targetted to. You will surely find this in the car or in the table of those cool guys that you associate with and the coolness will for sure spread like wild fire. Thanks BlogAdda for the opportunity to taste and review, tickling our senses all the way. Thanks ITC for a nice product and a nice experience if I should put it that way, and well rest assured that I shall be a good customer popping in the Ultra Mintz whenever I want to . 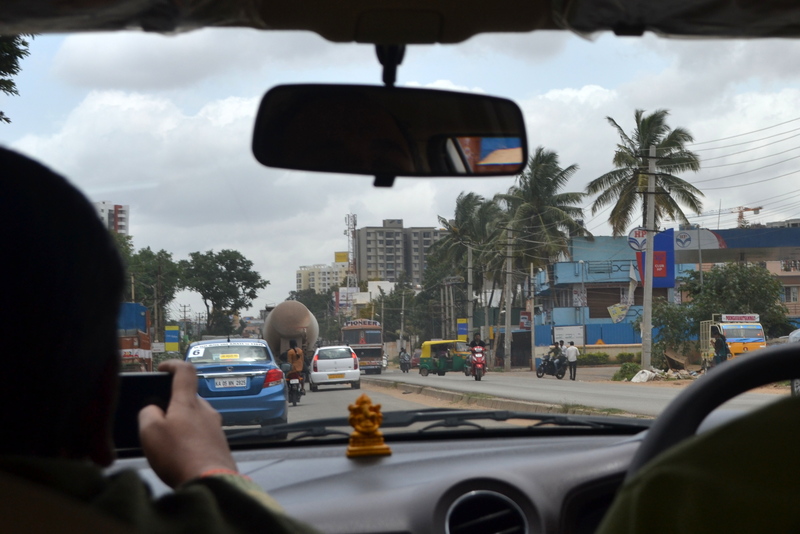 It was a nice setting, a Saturday morning in Bengaluru’s weather and driving the pot filled roads. I reach Taj Vivanta not before being introduced midway to Karthik, a privateer rally driver. Very interesting exchanges on motorsports and entrepreneurship follows. 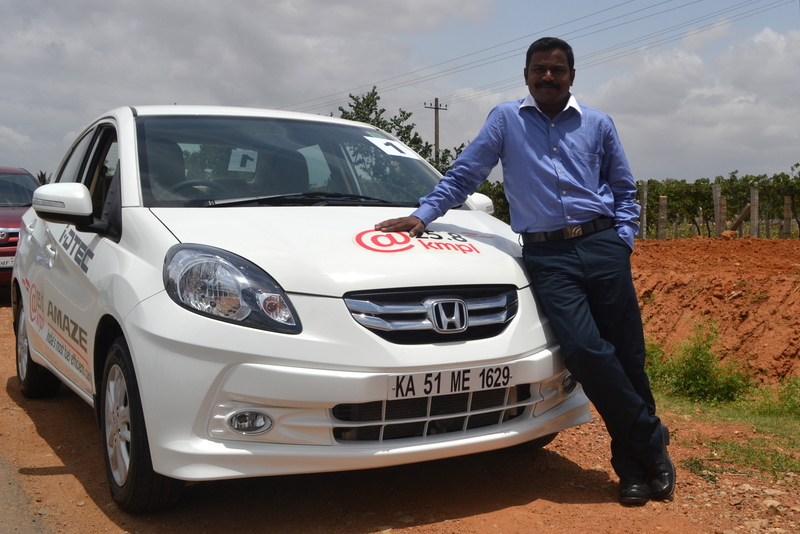 At the venue of Honda Hangout, get to meet those bloggers at arms and the Bloggers Mind team! And we settle after a nice breakfast! I could see cars lined up for the day. 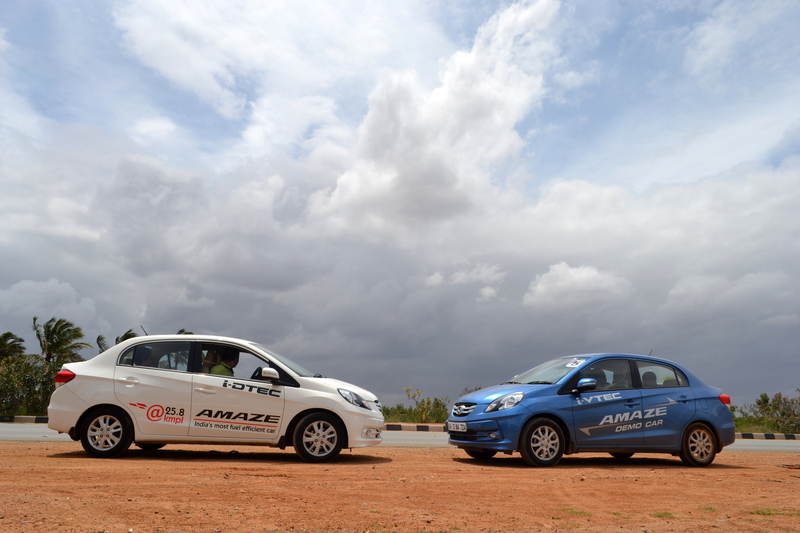 The official itinerary had the normal stuff and we were led through a very long and interesting presentation on the Honda Amaze and how it came to be the car that it is today. Also got to see a couple of nice Honda television commercials: Check this one! 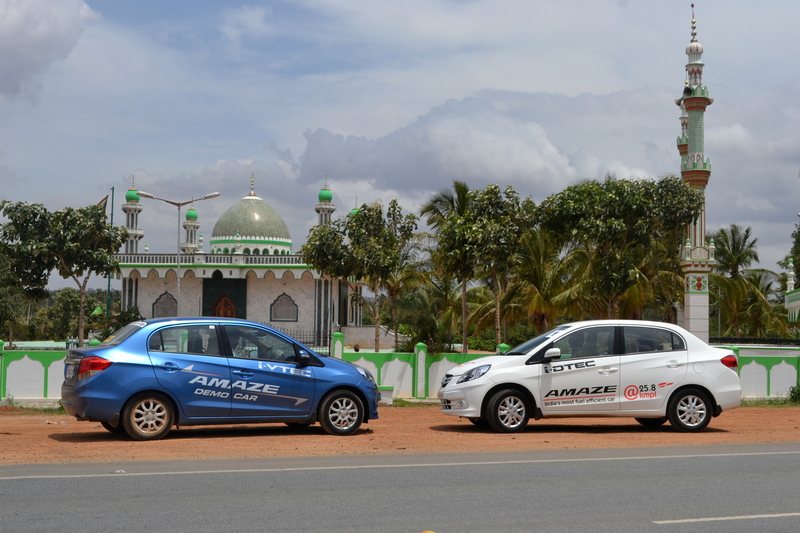 The Honda Amaze is a greatly conceived car and has the Honda DNA and the Diesel version has the power and sensitivity to a great extent. This is a culmination of studies and insights from ground zero. In one of the answers the team said they had studied some 20 different road bumps to get to the right ride height. The space in the back seats also marks the importance of leg room and they have optimised the boot. So we were all set, in groups of three people and a member Bloggers Mind. It happened that I was a part of the first car! All set the first impressions were obvious ones, a grand looking car, nice front grill with trademark Honda Logo the lights were also clear and flowing with the lines, then there was the fog lamps.Oh these cars comes in beautiful colours too! The back of the car was also very well styled. Looks pretty with the lights on! The chrome band adds to the look. Look inside is a nice console, would have loved the music system and the AC panel flowing down rather than being two different sets. You will find three colours on the panel , its pretty sleek to an extent, and the plastic look actually makes it little cheap. Otherwise the dual tone interiors are a delight to soak in. One serious stuff they missed is the BLUE TOOTH! Yes it doesn’t have blue tooth connectivity. The steering is collapsible ie tiltable, has Airbags, has music controls at your fingertips, so you dont strech yourself in the city riding. On the other hand the seat has a height adjuster, so you know if you are not able to reach the clutch, you know what to do! The wind shield is a special one with heat control, another amaze-ing feature if you can call it. 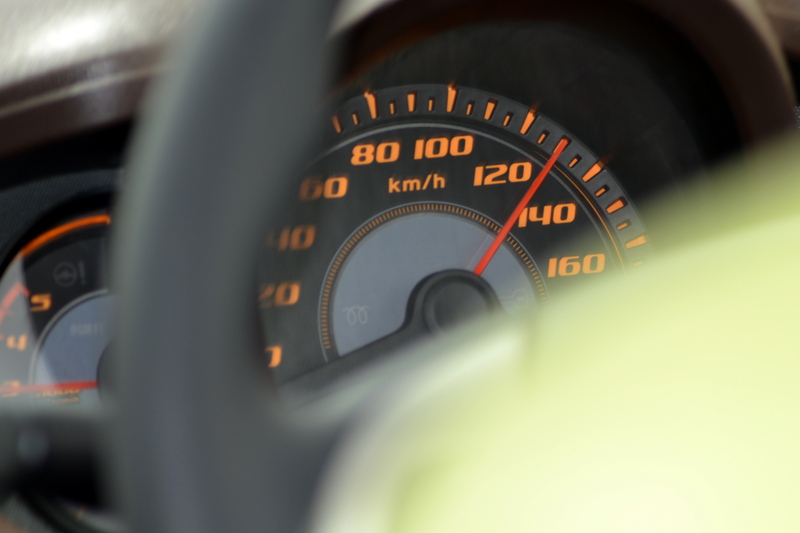 I must admit that noise control is par excellence, you would wonder if the car is on, well checked with revs to confirm it. 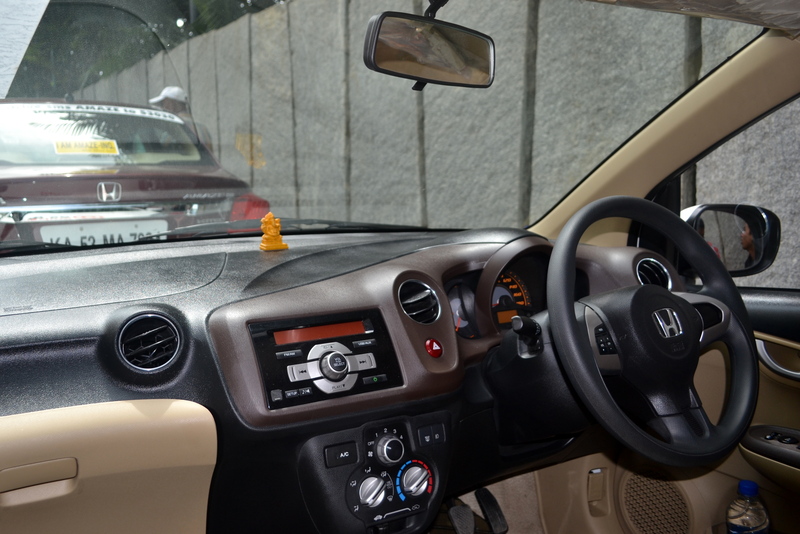 The ORVMs can be handled from inside and it also has a sporty feel to it with the indicator lights on. Before that let me add the cup holders were a delight it actually was able to hold real 2 bottles. The back seat also had bottle holders very amply spaced out. A tidbit here: The product team actually collected over 200 bottles from the people at office to finalise the size of the holder. So we hit the road! The car was responding so well to the city roads! 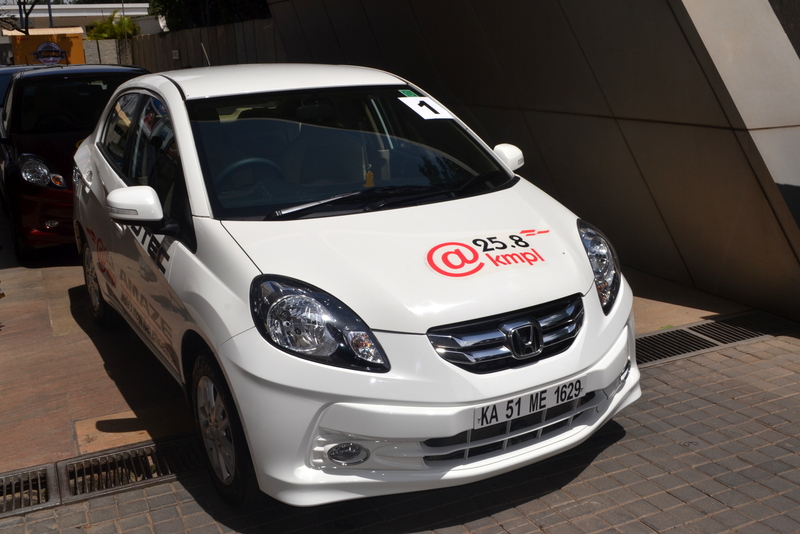 Very comfortable in 2nd and 3rd gears too, pretty responsive steering and very close turning radius helps you navigate the city, the traffic the signals and the pot holes in abundance. 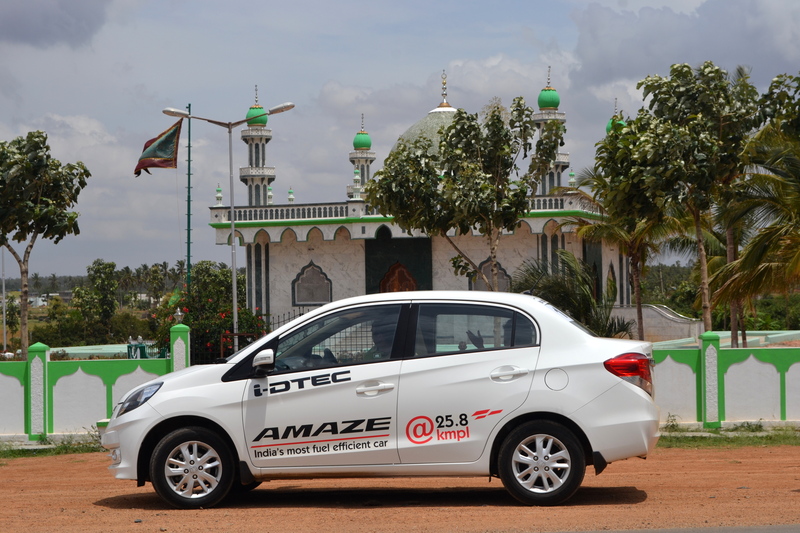 The verdict is out half way – very nice city car! So we would be touching the high way to actually try going that extra distance and feel the car. And here we tested it to limits, just look at the snap below! 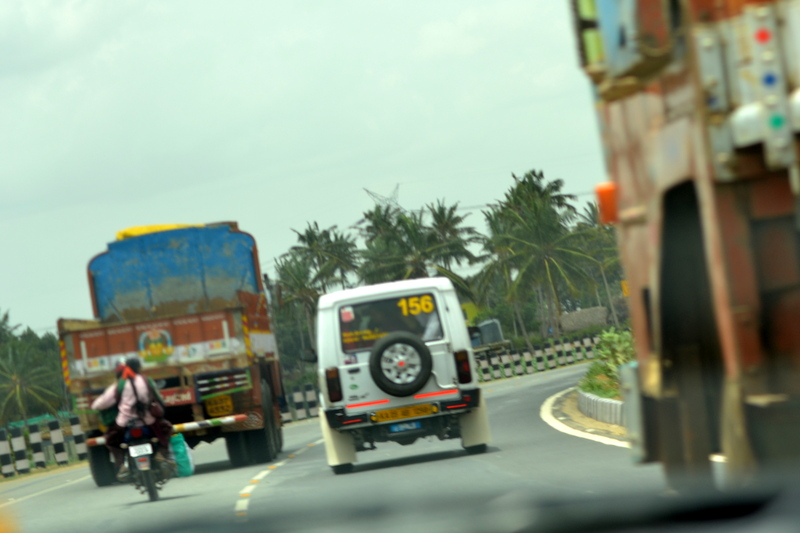 Its a manual setting in the camera, and i was able to take this shot on the highway, it felt like breeze no hangups and no pretence of being fast! Pretty nice build I must say! But when I drove I was wondering if we needed an extra bit of power, may be its the light weight on the aluminium engine that makes you feel so! So far its been a great ride and Honda Amazes truly! 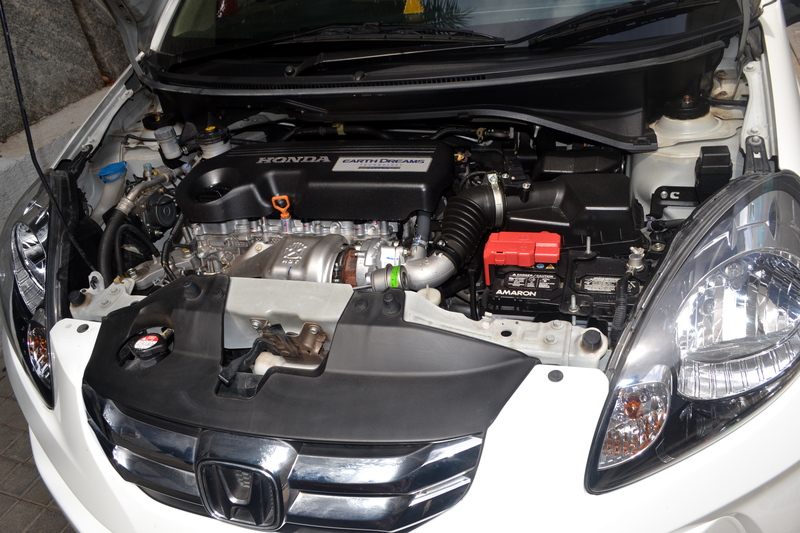 The engine is pretty powerful and makes for a great drive in city and also on the highway! 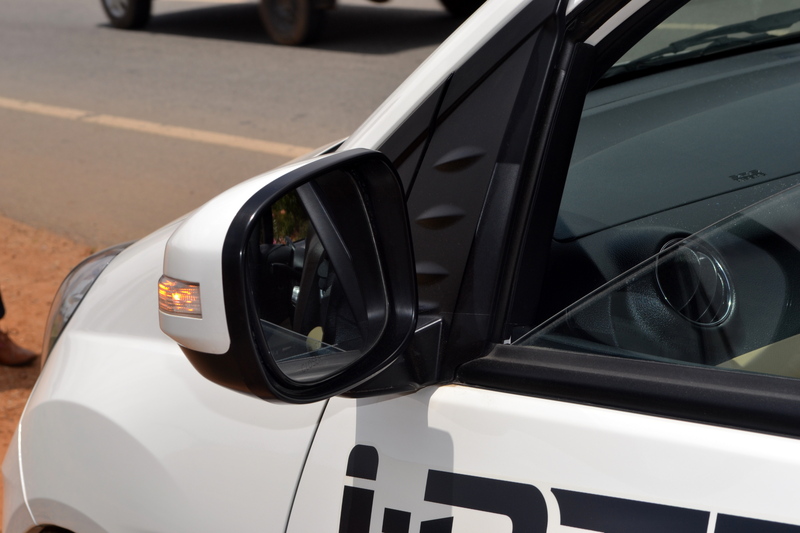 A 1.5 L iDTEC gives a 100 ps power! Very peppy and responsive as already discussed. 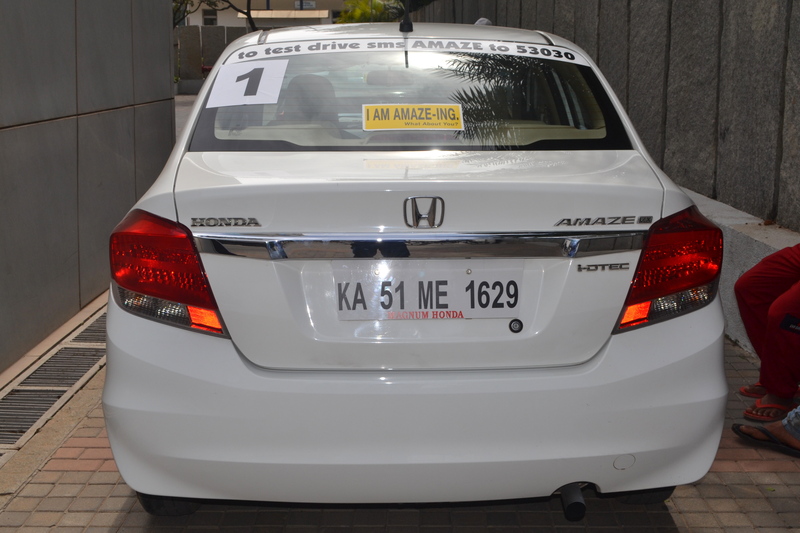 A very nice package value for money and you will love the Honda tag! Going by the waiting period you know they have done the rightest thing, and they are working overtime to reduce that to a half the time with a third shift at their facility. A nice Honda Hangout with even the team coming from Product management and the marketing made it awesome, simple because they were all ears to the feedback, and that I would say would make all the difference. Thanks to Bloggers Mind for this wonderful opportunity! Had a great time and will cherish this experience forever. It was different social media experiment taking it offline 🙂 and discussing things online! Kalyan Jewellers makes a superb TVC and makes a splash on Youtube! This ad by Kalyan Jewellers was being awaited atleast going by what Manju Warrier told everyone watching the malayalam channels a few days prior to the release of this TVC. I was also a bit surprised that they ran a TVC to announce another TVC, ofcourse Manju Warrier was making a comeback screen presence after long. It was a coup of sorts to get them together – Senior Bachan and Manju Warrier on the same screen. The script is nice and real to a great extent. And when the ad made the debut, it was a long one just over 2 minutes with slice of life moments and then culminating with the Vishvasam alle ellam which translates to Trust is everything. I think that was a nice way of relating to the customer and the brand value comes so close to the ad. Now coming to why I was writing this, this has garnered over a million views on Youtube in almost 3-4 days since its launch in the last week. It made sense to be on the social media since this was a pretty long commercial and may be the next set of TVCs will be a bit short and you know how it goes. This is the effect that “Owned Media” will have in the long run. Getting close to 1 million views in real, you can work the economics of the same when you are broadcasting this in the Television media. So its a nice start for even retail brands like Kalyan to get into this space and make a statement. This almost takes you off being a regional player and makes the other brands to look up. Thats the best part with digital, made the world look up to well you know who – with why this kolaveridi? Dhanush K Raja! Yes digital is here and how. Watch out for other retailers to take a cue from this. On another note and closer look, was surprised to see Manju Warrier was having the seat belt on while she was being driven to the hospital – who are you kidding guys? You know when you want to write you could always do a light reading stuff, after all this also has an IIT background to it. But I was surprised to find logical and philosophical takes which was on the verge of being practical and carve a character to be the etched in memory though it was an aspirational one. The story opens up at the college campus with the three characters in question, Rahul the narrator, his friend Neerav and the lady love Richita. These three characters live out our fantasies of being at the IIT and also echo some of the aspirations and beliefs that we would have held at that times in our lives. 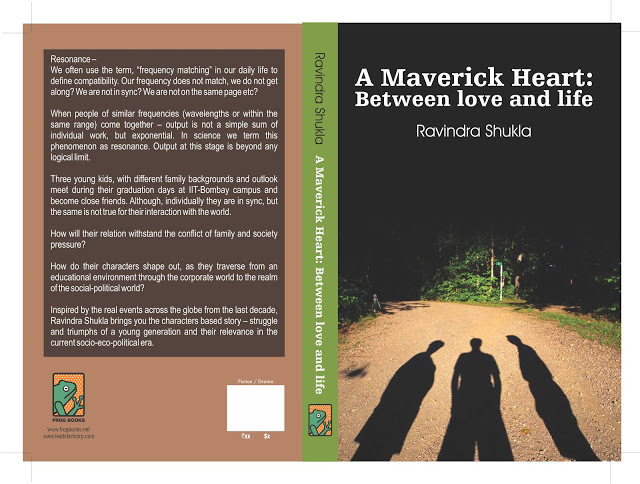 The author takes a realistic view on their lives not to go the fairy tale way and clubs the logical and practical issues with how the world views them and the protagonist is nurtured to be the person with such characteristics that its very aspirational that we could see someone in the real life. Probably that sense in the reader keeps him to see what happens to him till the end. A nice lucid read except for some parts I thought was little too explanatory which could have been avoided, the pace of the story is kept intact. The characters keep themselves up in their own right. Sprinkle it with some family drama and some real life incidences across all their lives, it gets close as much as possible to reality. Some explanations are not obvious but then the author has taken himself to explain them especially with the character of Rahul. I did like the way he views the deadline and competition part of academics and how we are creating a robot out of the students every time the same time of the year! The story moves in parts and covers a lot of events across the given time period and takes you across to the land of dreams USA and gives a glimpse of how the world works in corporate corridors. Some instances will remain with you forever and may be make you sit up and look back if you can probably do something like that. Of course read keenly you can come up with many instances straight out of the real happenings in our times. Absolutely an awesome read, could have been a little light at times and at some place, the narration is in second person towards the end, could have been in first person narrative like it started, though it isn’t so noticeable. A light read and makes for an interesting debut. Though there are enough college romances, this would stand out for its sheer way of portrayal of the characters especially the protagonist. If you really read between lines there is ample scope for you to look at the world differently. A word of thanks to The Readers Cosmos for the opportunity to review this a part of Book Review program!